Chanteur Country US né en 1985 à Austin (Texas). Country singer, songwriter, and producer Kyle Park was born in 1985 in Austin, Texas and raised in Leander, Texas, just north of Austin. He started playing guitar at the age of 14 and had written his first song by the time he was 15. After graduating from Leander High School, Park attended Texas State University for a couple years, but left school to focus on music full-time, playing music in the local clubs and assembling a band. In 2005 Park released his debut album, Big Time, through local label Lazy S.O.B. Recordings. 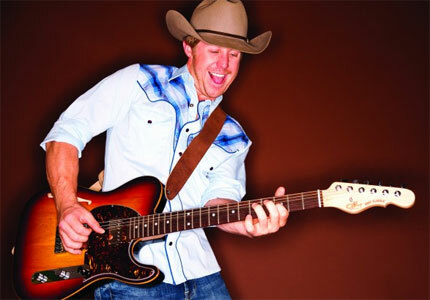 In 2008 he founded his own music label, Kyle Park Music, and brought out a second album, Anywhere in Texas. A pair of EPs followed two years later, Spring 2010 and Fall 2010, which were then remixed and combined with six additional tracks to form 2011's full-length Make or Break Me; both EPs and the album, all released by Winding Road Music, made the Country Albums chart, with Make Me or Break Me peaking at number 53. A fourth full-length, Beggin' for More, appeared in the spring of 2013, and the leadoff track, "The Night Is Young," was a solid hit in Texas; by this time, Park was playing as many as 175 shows each year, and the road work was paying off, with Park developing a devoted following in the Southwest as well as launching short tours of Europe. In 2015 Park's label landed a distribution deal with Thirty Tigers, and in October of that year Park released his fifth full-length album, The Blue Roof Sessions.